Your generous gifts are greatly appreciated. With your support, we are able to provide the best equipment, services, and facilities for the delivery of high-quality care to our patients and the communities we serve. The Cole Foundation recently recognized the OB/GYN office staff through the “Honor Your Caregiver” program. A donation was made by Dr. and Mrs. Mazen Fouany to thank the team for the great experience and excellent care they recently provided to their family. This donation will be used to provide children's books in the waiting room of UPMC Cole's OB/GYN office. Thank you for providing excellent care to our patients each and every day! Patients, who receive exceptional care often ask “How can I say ‘thank you’ to those individuals who have made a difference while I was a patient at UPMC Cole? The Cole Foundation offers the “Honor Your Caregiver” program as one way for you to do just that. For more information or to nominate one of our caregivers, contact Andrea Streich, Executive Director of the Cole Foundation at 814.274.5520. Bill Sallade presents a check to Dr. Kukunoor and Andrea Streich at UPMC Cole's Patterson Cancer Center. The funds were raised during the 12th Annual Kathy Sallade Memorial 9-Ball Pool Tournament on March 2nd. Mrs. Sallade loved pool and always thought of others before herself, even while undergoing cancer treatment. This donation will help Cole continue to care for cancer patients in the area. Thank you to the following sponsors who helped make this donation possible: Doug and Brenda Glenn, Bill and Donna Sallade, Anderson's Garage, Morgan Advanced Materials, Friendly Inn, Close's Lumber, La Famiglia OIP, Olga's, Stoltz, Greely's Auto Parts, NAPA, Buchanan Brothers Pharmacy, Always In Bloom, Potter County Beverage, Best Buy, West End Bar and Grill, Wagner Ace Hardware, Fox's Pizza, Elaine Russell (Moon Gipsises), Hidden Passage Books & Lore, Brian and Pam Ruane, Vavalo's, Crittenden, Mosch's, and American Legion Post 192. 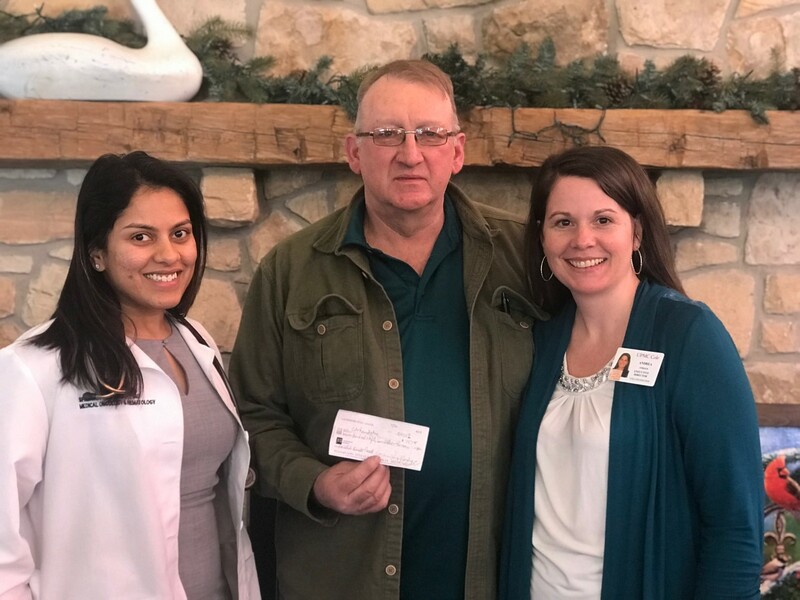 The Galeton Moose Lodge #826 and Women of the Moose recently made a donation to the Cole Foundation to help support free mammography screenings at UPMC Cole. These funds will be utilized for uninsured or underinsured women of Galeton requiring a mammogram. The Cole Foundation would like to thank you for your continued support and commitment to UPMC Cole. Women can call and inquire about this service at 814.274.5470.